Ovation Award for Crazy in Love! 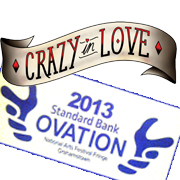 With great excitement, and no small amount of pride, we are thrilled to announce that our brand new little beastie, Crazy in Love, has scooped a prestigious Standard Bank Ovation Award for 2013! The show is currently playing at the National Arts Festival Fringe where it is attracting enormous crowds, great feedback, new admirers, as well as floods of tears and gales of laughter. Come and check it if you haven’t yet – 5 performances left at this year’s festival! 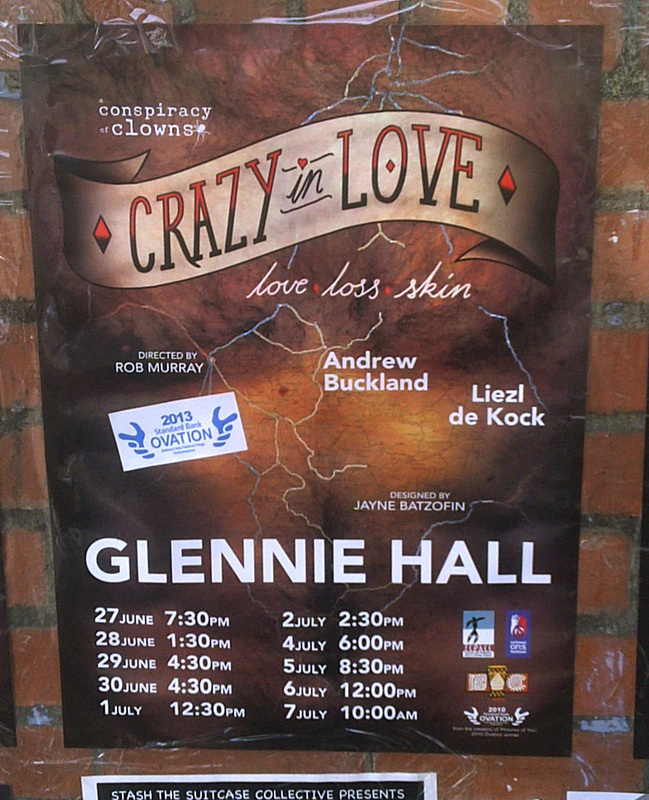 This entry was posted on Tuesday, July 2nd, 2013 at 5:11 am	and tagged with Andrew Buckland, conspiracy of clowns, Crazy in Love, Liezl de Kock, NAF 2013, National Arts Festival Fringe, Rob Murray, theatre and posted in Crazy in Love, Festivals, Industry News. You can follow any responses to this entry through the RSS 2.0 feed.